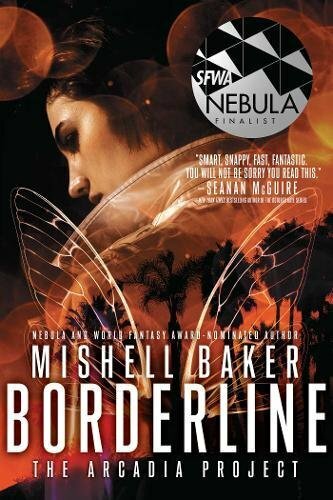 Mishell Baker has created a magical world with an extraordinary protagonist. In this world, the world of the magical Fae and the non-magical world we inhabit are inextricably linked. That is the premise of the Arcadia Project books, a series that tells the story of one member of the Arcadia Project. Millie Roper is broken. Damaged goods. She has borderline personality disorder (BPD), a mental condition that expresses itself in sudden, sometimes violent, mood swings. She can be in turns emotionally fragile and emotionally manipulative. She is difficult on her best days and almost impossible on her worst. She is also physically damaged. A suicide attempt left her a double amputee with metal screws holding many of her bones and joints together. These challenges make our world a difficult place for Millie. But they uniquely suit her for dealing with the fae. The metal in her body makes her immune to most spells and enchantments. It even allows her to nullify many of them with a touch. And her emotional challenges help her in unexpected ways when dealing with the fae, who bring their own emotional uniqueness to the party. 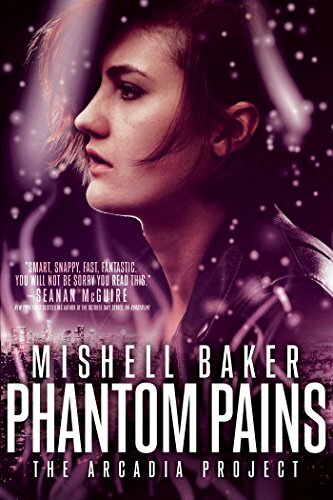 Borderline and Phantom Pains introduce Millie and the other major characters in the series. They also introduce us to the major conflicts between the fae and the human world, and between those within the Arcadia Project who are willing to enslave spirits (and others) to gain power and those who are unwilling to enslave others. Millie is a freedom fighter. She works with others in the Los Angeles office of Arcadia, and with her fae allies, to oppose the London headquarters of Arcadia. Awkwardly, London is the headquarters of the entire project, ostensibly devoted to keeping the peace and promoting the advancement of both humans and fae, but secretly enslaving fae to take their powers for themselves. 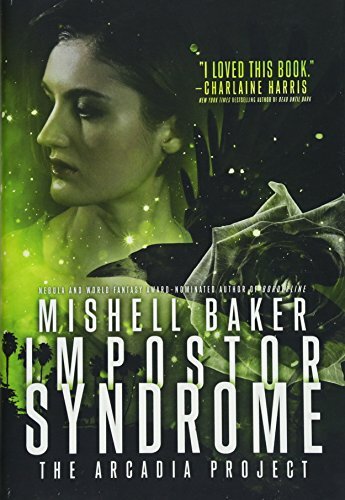 In Imposter Syndrome the battle is fought on two fronts, our world and Arcadia (the home of the fae), and Millie is at the center of it all. Imposter Syndrome truly is centered on Millie. Although the book tells the story of the conflict between the chapters of the Arcadia Project and between fae kingdoms in Arcadia, the story is really all about Millie. She is a powerful protagonist, though she seems to be the last to recognize her own power. Her struggles are the arc of the book: coming to terms with her power within the Arcadia project; coming to terms with her sexuality as she wrestles with relationships with men, women, and fae; coming to terms with both her brokenness and her strength. Millie cannot be categorized. She is neither gay nor straight, she is neither whole nor broken, she is neither a leader nor a follower, she is neither mentally ill nor mentally healed. She is weak and powerful, sexual and aloof, intelligent and foolish, and utterly remarkable and unlike any other figure I have encountered in literature or in life. In other words, Millie is individual, special, unique, both like and unlike everyone else. That, in many ways, makes her extraordinary. Mishell Baker has created a special character in Millie Roper. In being unlike anyone else, she is possibly the most human character you will encounter in science fiction–or in fiction in general. Millie Roper’s “differences” give her a strength and power that leaps off the page. She is worth getting to know through the pages of the Arcadia Project.